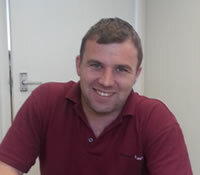 Matt entered the marquee industry back in 2002 working in the summer whilst studying at university. After his studies he had a short spell in the sales industry before deciding to start up Monaco Marquees. His passion for events has helped build the company’s reputation for excellence. As well as overseeing the business as a whole Matt is still heavily involved with the on site set up of the marquees and specialises in weddings and larger events. Paul’s experience before setting up Monaco Marquees was based in the grocery retail industry as an area manager for the Co-op supermarket chain. Paul had outstanding success in this role and was the youngest person to achieve this position in the recent history of the company. With the skills and knowledge gained in these years, Paul was excited at the prospect of running a business of his own. Now Paul is responsible for the back office running of the business and the logistical running of all operations, a position that he excels in. 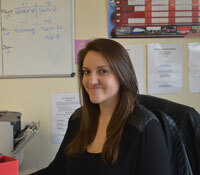 Sophie joined Monaco Marquees in 2009 and is a valued asset of the business. Her experience prior to joining Monaco lies in the catering and event management industry making her the perfect candidate to join the team. Responsible for the complete running of the office including liaising with our clients, sales and administration Sophie has proved to be an integral part of our team. Sam joined Monaco back in 2007 when the business was in it’s early stages. His hard work, loyalty and dedication has played a huge part in the growth and success of the company. 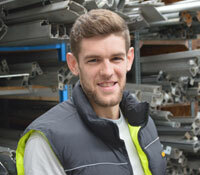 Sam is now our most senior member of staff and is totally responsible for all on site operations. 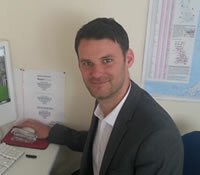 His experience and technical expertise make him an invaluable asset to the business. 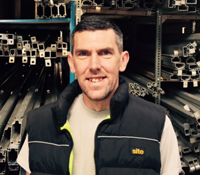 Craig joined Monaco in the summer of 2015 to fill the role of Site Manager. The role became available when a long serving member of staff went on to pursue another adventure leaving a large gap in the infrastructure of the business. Craig was approached directly by us as he had previously lent a hand on a temporary basis. During this very short time his outstanding attitude, knowledge and experience were obvious to see. When approached, Craig was enthusiastic and left his previous job within two weeks to become a full time member of the team. Craig comes from a carpentry background which has set him on good stead in his new career path, especially when working on tricky and awkward sites. He is very much appreciated by his colleagues and we are sure he will enjoy many successful years with us. 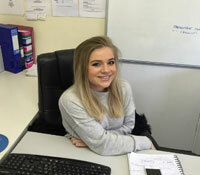 Megan joined us on a one year apprenticeship in 2014 and is now part of our full time office staff. Her hard work and dedication shown during her apprenticeship made the decision to offer a full time contract an extremely easy one. Her positive attitude and friendly nature makes her the perfect fit for our business.